Marco had planned to go to the convention before he decided to seek re-election. Since Marco got into the race late, he will be in Florida campaigning and meeting with voters instead of going to Ohio. Rubio foreshadowed his decision during a discussion with CNN's Manu Raju, when he stressed that he's pressed for time. 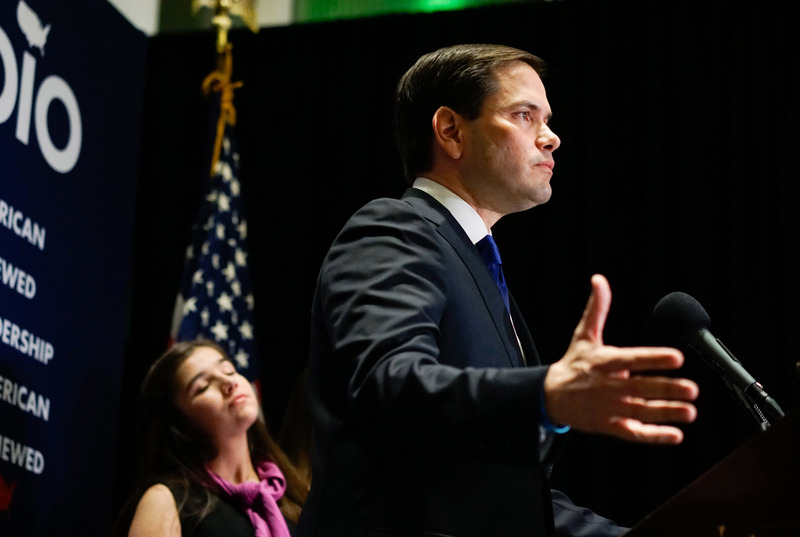 For Rubio, the clock is ticking. Carlos Beruff, Chair of the Florida Commission on Healthcare and Hospital Funding, for example, announced his Florida Senate campaign in February. This means that Rubio is nearly five months behind, and he admitted to Raju that he would "have to spend a lot more time" in the state. As an incumbent that's received significant media attention, however, he does have an advantage over opponents who had a head-start. It’s been well-documented that I have significant disagreements with Donald Trump on his failure to articulate policies and many of the things that he has said, especially about women and minorities. And so, I’m prepared to be a senator that will encourage him to make the right decisions, but also stand up to the bad decisions and the bad policies if he’s elected president. It's still possible that Rubio's heated and occasionally childish feud with Trump influenced his ultimate decision. Though the Florida Senator has dodged a genuine endorsement of Trump since dropping out of the race in March, he told CNN's Jake Tapper that he will support the GOP nominee for the sake of the party, no matter who is chosen.